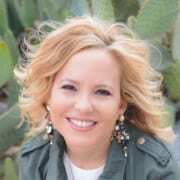 Meet the writer and Bible teacher who can bring God’s life-changing Word to your group.  In this candid interview, Erica Wiggenhorn describes her passion for Scripture and how it transforms lives. Your teaching and writing ministry claims every life can live with purpose, promise, and power. Why did you choose this tagline, and what can it mean to us? I believe purpose, promise, and power are crucial to every Christian’s life. We want these qualities, but we don’t always understand how to access them. However, the lives of certain prophets reveal how to live with these Spirit-endowed characteristics. I’ve studied these prophets to learn about God and to understand how He transforms lives. When you suggest that “maybe we haven’t figured it all out yet” when it comes to our understanding of the Scriptures, what do you mean exactly? People have been studying the Bible for centuries- what are you suggesting? I never realized before studying Acts how long it took the apostles to finally begin witnessing to the Gentiles. It was over ten years after the Holy Spirit’s arrival at Pentecost. The apostles had many cultural and religious misconceptions they had to overcome by the Holy Spirit’s illumination and power, before they fully lived out their mission. I began asking the Lord and myself, “How has culture erroneously impacted my thinking about what it means to follow Jesus in 21st century America?” and “Lord, show me where I am misinterpreting the Scriptures in light of it or missing out on who you are calling me to be!”. I think the Holy Spirit is itching to give each and every one of us a wake-up call to follow Jesus more fully and experience Him more intimately through diving into His Word. The subtitle for An Unexplainable Life is “Recovering the Wonder and Devotion of the Early Church.” What do you mean by that? The response of the people to the followers of the Way, or the earliest believers pierced my heart. It says that many were in awe of them, or baffled by their behavior. As I thought about my own Christian journey, I humbly realized it rarely evoked awe in others over my Lord and Savior. I began to pore through the text trying to discover what it was about these early believers that left those who witnessed them so mesmerized. I realized it was their devotion to Jesus’ mission and to one another. They also lived in wonder over the kindness and goodness of God in granting them salvation. They did not become distracted by the cares of this world. My prayer is that readers of this study will realign their purpose, passion and priorities toward following Jesus more closely. I also pray the church at large begins to experience the power of community as these early believers did! The first book in your Every Life Bible-study series focuses on Ezekiel’s life. That’s an unusual choice. Why did you focus on this prophet? I have participated and led women’s Bible studies for years. I never thought I would actually write one! I began to feel like many studies were trying to package God into someone whose purpose was to make our lives better. The focus was all about what God could do for us, if we would just let down our guard and allow Him access into our lives. I like how author Kyle Idleman describes it: selling Jesus. I think I’d only read that book of the Bible once and it was so confusing! It seemed wherever I turned, I saw or heard the name Ezekiel. Eventually I consented and opened my study Bible to Ezekiel. So I began to read and write, read and write. The journey I took with God through the pages of Ezekiel were the most intimate time with Him I’d ever experienced. I fell more deeply in love with my God than I thought possible. We cried together over my sin. We laughed together at how He brought truths to light in my daily experiences as a wife and mom. I worshiped the greatness and majesty of a God who never stops pursuing His people, no matter how defiant and rebellious they choose to be. Your second published Bible study is about Moses. Many people have written about him. Why did you choose this well-known prophet? The Moses Bible study emerged from a personal search. Both of our children were adopted at birth. Striving to raise them in God’s truth and being extremely aware of the gift and responsibility in calling Eliana and Nathan our daughter and son, my husband and I checked Scripture’s first mention of adoption: Moses. We faced a particular struggle at the time, and I desperately wanted to understand my children’s hearts and how adoption affected them positively and negatively. As I read the story of Moses with the heart and mind of an an adoptive mother, God opened my eyes to see a new Moses. While he became the fearless leader of the Israelites, he was a flawed man, plagued by doubt, insecurity, loneliness, anger, and fear of rejection. However, the brokenness of his human relationships didn’t preclude him from becoming the man God created him to be. We live in a world marked by difficult and broken relationships as well. We can choose to allow those relationships to define us, or we can make our relationship with God the primary marker of our lives. When God becomes the one who defines us, our lives become proof of His promises about restoration and wholeness. Will you add more studies to the Every Life series? If so, what biblical people and themes will you feature, and why? The next study in the series will be about Elijah about Elisha. Other than Moses, these prophets performed more miracles during their ministry than any others. Elijah seems to burst on the scene out of nowhere. He wasn’t a man groomed for greatness; he just had a heart willing to obey God. I can relate to Elijah’s highs and lows; his desire to withdraw from difficult circumstances; his desire to partner in ministry; and his great zeal for the name and renown of God. Even after great spiritual victories, Elijah grew fearful and fled to the security of God’s presence. There’s beauty in God’s tender care of Elijah and His prescription for Elijah to climb out of the pit of despair. Scripture makes it clear how to guard ourselves against the attacks of the enemy that cause us to wallow in self-pity and hide. Elisha was a great answer to prayer for Elijah. There is much to learn about the power of community by looking at their relationship. It also teaches us about leaving a spiritual legacy, learning from our mistakes, and how simple acts of obedience can produce great waves of change, when put into the hands of our Mighty God. In addition to teaching about Ezekiel and Moses, you speak about studying the Bible for life change. Is personal transformation the primary reason for studying the Word? If not, where does life change figure into Scripture study? Yes, life transformation is the ultimate goal. I don’t want to say personal transformation, because it sounds too small and self-centered. Life transformation, however, is about becoming who God wants us to be; to make Him more recognizable to a world that needs Him; to become equipped to minister most effectively to His church; and to freely love those around us in a way that points them to Christ. Jesus said the world would know we belong to Him by our love for one another. We love others because He first loved us, and His perfect love casts out fear, resulting in life transformation. Fear is what most often keeps us from loving others: fear of rejection, fear of abandonment, fear of being hurt or used. It’s not personal transformation so we can become better or accomplished; it’s life transformation so we can become free to bring the greatest glory to God. Specifically, how does God’s Word help us to change? It increases our faith in God’s promises to us. It enlarges our vision of God and His goodness and greatness, allowing us to rest in His care and protection of us. It shifts our priorities, it cleanses us from our sin, and allows us to see lies that we’ve been duped into believing. It assures us of God’s never-ending love and faithfulness. It gives us wisdom in our daily decisions. It heals and restores. What is your belief about the validity and importance of Scripture in a Christian’s life? Knowing God’s Word should be the primary aim of every believer. It is how our faith builds, how we discern truth, and how we know God intimately. When a husband and wife get married, they don’t stand at the altar, pledge their undying love, and then move back to their respective homes and live separate lives, coming together for an hour or so during the weekend. Any couple doing this would not appear married. However, many believers stand at the altar and profess Christ, but live a life completely separate from Him during the week. If we pledge our undying love, then shouldn’t we be living with Him, sharing our lives with Him, and spending our days knowing what pleases Him, and then seeking to do it? Why do we treat our relationship with Christ differently than our other relationships? Not only must we be diligent in knowing the Word of God, we also must treat it as the authority in our lives about how to live. It is not a book of suggestions or good ideas; it is our life. It is wisdom, truth, power, and everything we need.